Focusing on assault weapons played right into the hands of the NRA, which has for years been saying that Obama wanted to ban guns. Gun control advocates ridiculed that idea—then proposed to ban the most popular rifle in America. Gun control advocates have told me the assault weapons ban was intended to be a bargaining chip. Ask for the moon, settle for less—in this case, universal background checks. If that was the strategy, it backfired. This is all stuff I didn’t want to talk about before a vote, because you don’t interrupt your enemy when he is in the middle of making a mistake. This was a ridiculous strategy, because by putting gun and magazine bans on the table, it made it possible to wake up millions of gun owners and getting them to paying attention. Traffic on this blog has been at record levels the past several months, even on search traffic for specific bills. The Democrats then poisoned their own well even when it came to things like expanded background checks, by putting forth Schumer’s ridiculous language that moved to cover even temporary transfers, making handing a gun to someone in the wrong circumstances a 5 year federal felony. Now the meme is out there in the heads of a lot of gun owners “When they talk about background checks, that’s not what the bill is really about.” Those of you who are regulars, and not new to these parts, have known that for some time. But now we’ve educated a lot of people. The next time they come at us, we’ll have more allies than we did before. In fact, by demanding too much, you can often worsen the chances for a deal. That’s why negotiators typically start off with a price that’s outside the [Zone of Possible Agreement], but not so far outside that you shut down negotiations. Imagine our car dealer posted a price of $40,000 on the car. Would that get him closer to the full $18,000 he’d ideally like to collect from you? Hardly. You’d take one look at that absurd pricetag, decide he was an idiot, and take your business elsewhere. Similarly, if you kept insisting that you only wanted to pay $2,000 for the car, the salesman would probably quickly decide that you weren’t serious, so it wasn’t worth wasting his time on a negotiation. Read the whole thing. In truth, if they had started off with something like Manchin-Toomey, then fallen back to something like the Coburn proposal, with some of our preferred agenda items thrown in to sweeten the deal, I’m not sure we would have been able to rally enough opposition to defeat it. The problem is, they’ve always approached negotiation from the standpoint of the negotiation being how much they will take away from us. That’s no longer political reality. The question is whether the gun control movement accepts it. They played their hand and if anyone thinks that their end game is nothing more than total disarmament of the citizens, they need to cut back on the psychotropic drugs they have been ingesting. I like the simple response, “No!” to anything and everything they bring up. It will always be either total capitulation or a Trojan Horse. Instead, we should now bring a bill to end the “Gun Free Zones in America” so that another massacre can be averted. Shove that up their wahzoo. They spent the last three months basically accusing me of some culpability for Newtown and the real truth is the politicians who gave us GFZs are to blame for these massacres. I will not play nice with them, ever. It’s like trying to be good friends with a Nazi as a Jew. Their evil motives are always there. Too harsh? Well, the Nazis loved disarming the Jews. They also were socialists hell bent on governmental control of everything. …only my enemy wants me disarmed. Enough said. Feinstein: My Senator, my enemy. I think at this point gun control has become a parochial issue on the level of affirmative action or gay marriage bans. Or alternatively, a third rail Luke abortion. So while not a reason to get complacent, I bet that in the foreseeable future it will mainly be a base-rallying and fundraising issue, not a live political fight. The thing is, more people still vote based on those issues you mention than on guns, including me. When I attended the March for Life there were several hundred thousand people. I still don’t think we’d find that many marching for gun rights even at the national level. The 4% interest number seems to apply more to the rabid gun control folks, but there won’t be much movement toward our side from those folks unless there is a truly left-leaning liberal who stands up for gun rights. Until then I expect to see mostly pro-abortion, pro-gay marriage liberals pushing for more gun control. When you bring up the fact that more children are murdered by abortion, they claim it’s a different argument while continuing to dance on the graves of kids killed with guns. Non-sequitor in my view, but I digress. To me it translates to this whole notion of, “I want background checks/stricter gun laws/random CSGV talking points, but I could care less about gun control as a whole”. If more people become interested in guns as they relate to politics we could find ourselves in trouble without seriously continuing to change the mainstream culture. HappyWarrior, you can’t make that comparison and expect it to have an impact. Better (smarter) use of the Abortion debate would be to bring up the Gosnell case as an example of trying to craft law based on extreme cases. That’s something they can relate to. That’s a hook into gun ownership. We cannot, repeat, CANNOT continue to tie gun rights to social conservatism and expect them to survive. That’s not really a smarter argument, however. My original point was to examine the hypocrisy of folks who claim to be in it “for the children.” An abortion is a death of a child every time and I hear nothing about it from them. Gun owners do not buy guns to kill children. There’s no two ways about that. And Gosnell’s case is really no different than most other abortion clinics. It just so happens he got caught. The media is covering the trial about as well as they covered Bloomberg’s money influencing the gun debate. Don’t dance around the issue. Your maligning of “social conservatives” does not help the cause. Most social conservatives support gun rights. Can the same be said of liberals in general? No I would agree that we should peel off gun rights supporters one at a time regardless of their stance on other issues, and we shouldn’t necessarily confuse agreement on guns with agreement on other cultural issues, but you also need to acknowledge that gun rights are not a primary voting issue. In this same vein, it will be very interesting to see how conservatives coalesce around Toomey (if at all) on non-gun issues. He has been strong on other fronts, but he has struck out here. So when can we expect to turn things around and start demanding some actions of our own? Start with completely ending GFZs and national CCW reciprocity, and settle for veterans’ rights and reducing GFZs, for example? We’ve been playing a slowly-losing defense for decades. Now that the advance has been stopped in its tracks (thus far), can we force a retreat? I live in CT and we lost a lot here, as well as NY and and MD and to a lesser extent CO. They got everything they wanted without even a public hearing or debate I do think it hurts them long term in that its clear what they want and their methods are undemocaratic but the fact remains it will be years before we get to enjoy what other states do. Now that the federal fight appears to be over for the foreseeable future, the Supreme Court can continue to issue positive decisions our way without fearing a huge popular backlash like was the case for Obamacare. Madigan and CCW for IL are up next. Is she going to chance putting up Posner’s decision as the law of the land? Chicago’s “may-issue” failed “spectacularly” yesterday as well. Looks like they can either accept “shall-issue,” or they can roll the dice with the Supremes. Given their disdain for the 2A, my money would be on them appealing to the Supremes at the last possible minute. To use another bloggers analogy, Its our cake damn it, don’t take it and give us a small piece back and call it compromise. The fact that they have taken an awful lot of that cake already is why NO is heard spoken loudly. In the end we as a people are not safer from their “help”. Does anyone know why Colburn’s Ammendment didn’t get voted on? I want to see these anti-gun Dems on record opposing an expansion of background checks. Is there something we can do that would facilitate easier purchase online, such as an online background check system that places such as Midway/Brownells etc. could use? Making it convenient to purchase online (let’s be honest, it’s just not right now) would give us a major doorway for Gun Culture 2.0 to spread to the Internet Generation. The problem you’re going to run into with Internet sales is knowing who you’re selling to. Would a CC permit be a way around that? Some sites require your drivers license to verify who you are before you can buy ammo, for example, couldn’t something similar work? I’m sure we could find something acceptable. Buying things online typically requires lots of personal information already, to verify the buyer’s identity. Of course once this happens gun dealers as we know them would perish. At the very least I’d like someone to begin discussing it on gun boards… this is an even more esoteric issue than putting suppressors off the NFA list right now. I *never* even see gun bloggers saying ‘well, we should make it legal to buy guns online’. Indeed. While some issues can be addressed using technology (e.g. using smartcard-based IDs that can digitally sign content in a way that verifies that the card is authentic and belongs to the person it describes), there’s no way to verify that the person who has the card is actually the person who’s making the order. I have no issue with having to go to a physical dealer for in-person sales, though having the ability to order rare or esoteric firearms online and have them shipped to a local FFL is quite handy when the local FFL doesn’t have them in stock and they’re not available through their normal distribution channels. Ammo and gun parts, though, should be available for online sale. I have many issues with being forced to go through a local FFL, because I can’t find one here in reddest VA who’s prepared to do it, or at a reasonable price. Online purchasing is crippled because of this. Remember, they took mail order from us in 1968. I’d like it back, even if it still means going through the background check. We should be facilitating easy access to the gun community, and this would seem to be a way to do it. I’m trusted with an uploaded copy of my C&R license, I’m sure something could be built to facilitate this. We could then claim we’re “expanding” or “enhancing” background checks online. The professor is giving them too much credit. This was more of a bluff that got called. We need to be watchful for a change in strategy, but given how they operate, I’m not sure they can help themselves. We do need to make sure we blunt and delay their progress as much next time as they did this time. It is not clear to me that the 4% that care about gun control are pro gun control. Agreed. Not entirely anyway. Maybe 3% pro, 1% anti. Who knows what those numbers looked like before, but after the fight we just witnessed, I’d say that’s about right. And if there’s any more awareness it’s from gun owners. I would like to see something akin to Coburn’s idea if there must, must, be any sort of background check legislation agreed to by the NRA. I believe we must also push for the elimination of any sort of record keeping whatsoever by FFLs. I don’t for one moment believe the claim that the Democrats opening actions were intended as bargaining chips. No. They wanted it all, and they had convinced themselves that they were going to get it too. Because, gee gosh! Newton changed everything, right? The proof of the Democrats real desires is found in action at the State level. No bargaining there, just harsh punishment of the despised gun-culture. We haven’t seen the worst of that either as the Democratic super-majority in California prepares to pass new legislation which will make California the worst place in the nation for gun-rights. But since the Democrats have had their head handed to them, they have to come up with some excuse for the unexpected failure at the Federal level. Hence the ‘bargaining chip’ theory. Besides they can’t admit the truth that Democrats are the real extremists in this contest, though it would be damn refreshing if they did. They really are all just like Bill Maher, they hate the second amendment, and they hate that they have to mouth support for the second amendment to con the public for support. Brad is so right. California is about to go in the toilet for Second Amendment. I see it over and over again as I hand out flyer’s to gun owners and ammunition purchasers in front of a store. I tell them would you like to see a list of the bills you are facing this year in CA? Many say no thanks. So I respond with, so you know about the ammo tax, 450.00 annual ammo registration card, required gun insurance, and that everything with a detachable magazine will now be labeled and have to be registered as an assault weapon? They go, wait, what? 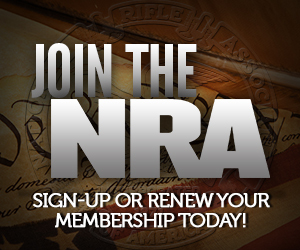 Only the active NRA members seem to know how bad it is. Other gun owners have no idea this is the worst year for anti-2A in CA ever. As an aside about 70% of the people I spoke to this past weekend said they are in the process of leaving CA. That’s going to be a real boom for Realtors in other states. Having met Professor Winkler and listened to his spiel I can say IMO he is no friend to the 2nd amendment. He consistently blurs historical record to his way of analyzing and makes pronouncements without looking or balancing other views or in some cases uses less than thorough research to provide a conclusion he seems to favor. For example his argument for gun bans in Dodge City and other wide open Old West towns completely ignores the reality of such bans being instigated and controlled by seedy controlling crime lords to preserve their vice incomes including Wyatt Earp who made most of his money as a pharaoh dealer and gambler.